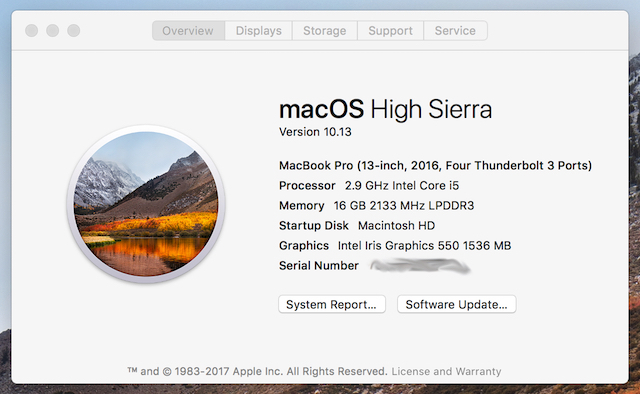 Today, Apple releases macOS 10.13 High Sierra to the public after a series of beta releases. It has some cool new aspects, but for the most part, its is a very boring release. Don't get me wrong, the new APFS file system and the ability to use an eGPU, for instance, are both very big deals, but let's be honest -- the average user probably won't care. Overall, the apparent differences are few and far between -- mostly in applications such as Safari and Photos -- and you know what? That is a good thing. The fact that High Sierra is largely uneventful for end users just shows how mature and refined Apple's Unix-like operating system is. Heck, this is probably why the operating system barely got a new name, only going from Sierra to High Sierra. 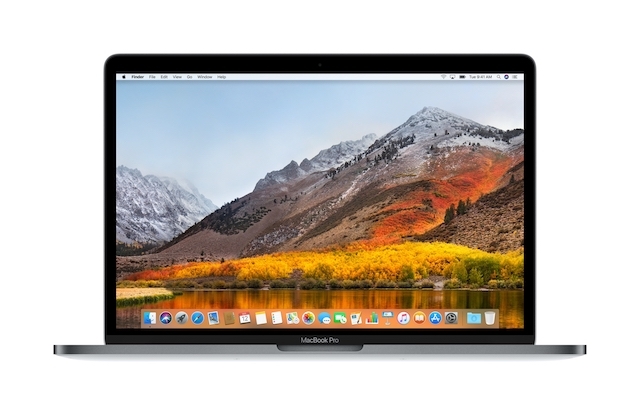 "With macOS High Sierra, Mac users gain powerful new core storage, video and graphics technologies. A new file system ensures more efficient and reliable storage, and support for High-Efficiency Video Coding (HEVC) brings stunning 4K video at lower file sizes. Metal 2 powers virtual reality content creation, faster performance and more. The Core ML developer framework makes it easy to create apps with powerful machine learning that predict, learn and become more intelligent. macOS High Sierra also includes a number of refinements to the apps Mac users enjoy everyday, including Photos and Safari," says Apple. Craig Federighi, SVP of Software Engineering, Apple explains, "macOS High Sierra is an important update that makes the Mac more capable and responsive, while laying the foundation for future innovations. 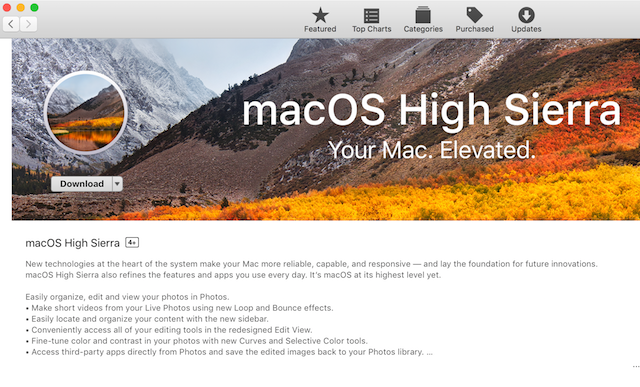 High Sierra introduces new technologies for VR, high-efficiency video streaming, advances in storage technology and more, while apps such as Photos, Safari, Mail and Notes are refined to give users even more reasons to love their Mac." Apple shares the full changelog below. APFS currently supports every Mac with all-flash internal storage — support for Fusion and HDD Mac systems will be available in a future update. Core ML takes full advantage of Metal and Accelerate, delivering incredible power, speed and efficiency to machine learning operations such as computer vision, natural language, and support for convolutional and recurrent neural networks. Make no mistake, while macOS 10.3 High Sierra is a largely ho-hum upgrade, it is still the best version of Apple's desktop operating system ever. As long as your Mac is compatible, there is absolutely no reason to delay upgrading. The updates to the core apps like Safari, Notes, Mail, and Photos are really great, and best of all, the OS upgrade is free! Just head to the Mac App Store and grab it now.